Tubey Toys Review: The Search is On! 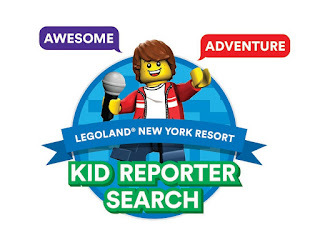 LEGOLAND New York Resort Open Call For An Official LEGO Kid Reporter! The Search is On! 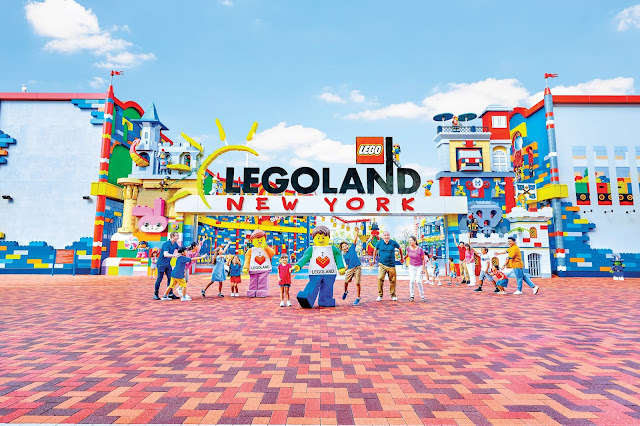 LEGOLAND New York Resort Open Call For An Official LEGO Kid Reporter! Attention Kid LEGO Brick Builders that live within 100 miles of Goshen, New York! 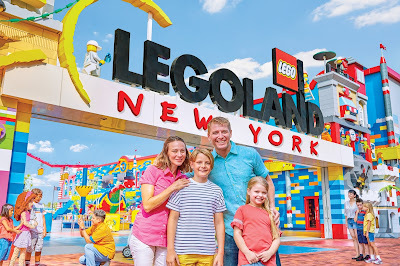 LEGOLAND® New York Resort is coming to Goshen, New York in Spring 2020! LEGOLAND® New York Resort needs the help from five little reporters to spread the word. LEGOLAND® New York is slated to be the biggest, coolest, and most innovative theme park in LEGOLAND® history! With lands featuring LEGO theming near and dear to our hearts throughout the park like LEGO City, LEGO Ninjago, Pirate's Cove, and more, the opening of LEGOLAND New York cannot come fast enough! 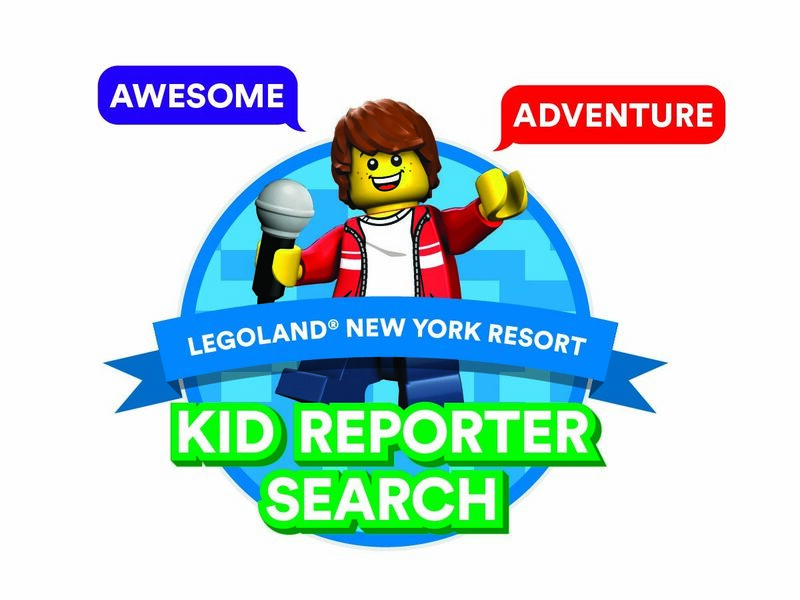 The wait for some kiddos may be shortened with the open submission contest featuring a wonderful opportunity for a child to become one of the of five carefully selected LEGOLAND New York Kid Reporters! Chosen Kid Reporters will be able to be among the "First to Play" at LEGOLAND New York's sneak peek in April 2019 - that's a full year before the actual grand opening of LEGOLAND New York! If chosen, your kid reporter will be one of the first children to set foot on the grounds of this much anticipated, bricktastic theme park and resort. The rules are simple, your kiddo must live within 100 miles of Goshen, New York, and be between the ages of six and 12! To enter, grab your cell phone and record a one minute video with your kiddo giving his or her reasons as to why they would be the best fit for this very rewarding job! To post your entry, upload the video to Facebook with the hashtag: #LLNYKidReporter by February 7, 2019. The winners will be announced February 28, 2019. Then e-mail the video to llny.kidreporter@LEGOLAND.com, and be sure to include your child's name, age, where they live, and where they attend school. Waverly Winchester, Kiditor-in-Chief over at Kids News NYC, is helping LEGOLAND® New York with the search! Check out her video where she explains why she's building her team of five kid reporters to help her spread the word about LEGOLAND® New York Resort's construction to the much anticipated grand opening in Spring 2020. This amazing opportunity has its perks for sure! Each of the kid reporters can take their families with them for these exclusive experiences! That’s right, the selected kid reporters will receive complimentary annual resort guest passes for them and their families, access to exclusive events, as well as the park's grand opening celebration. Each reporter also gets a bunch of swag like LEGO themed clothing for their on-camera reports! The LEGOLAND Kid Reporter will be responsible for fun tasks like write-ups on the LEGOLAND® website and social media channels, and video reports leading up to the opening. If chosen, this opportunity may even spark the love for broadcasting and you may have a budding broadcaster on your hands! I would love for my son to be a mini Walter Cronkite! In addition to all of these amazing perks, the selected reporters will be among the "First to Play" in April 2019 that is a full year before the grand opening! 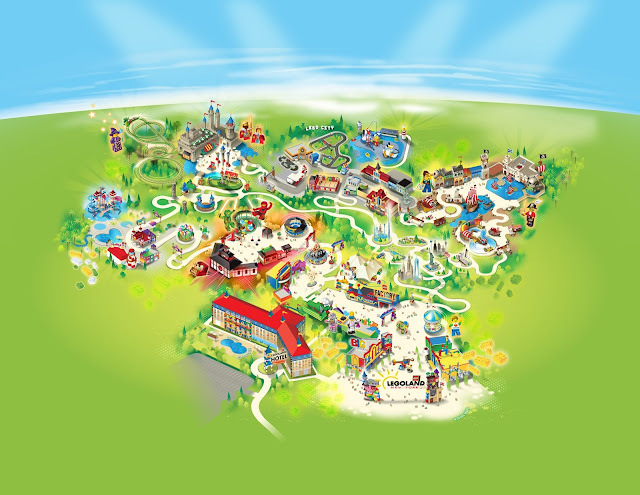 Map of the LEGOLAND New York Resort opening in Goshen, New York in Spring 2020! Not interested in submitting your kiddo's video to LEGOLAND® New York Resort Kid Reporter Search? No problem! 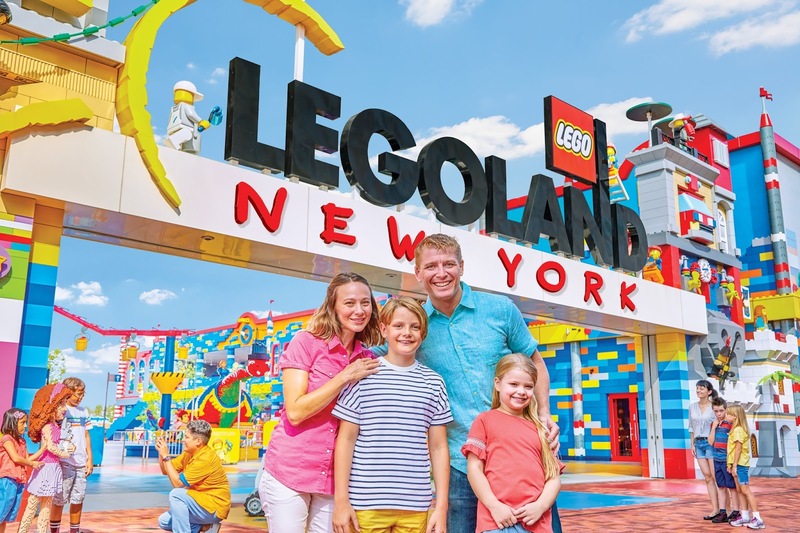 I'm sure you'll be happy to then check out everything LEGOLAND® New York Resort has to offer—from exciting theming, a full-service hotel decked out in LEGO® bricks, new shows and innovative rides that will be debuted and only seen at LEGOLAND® New York Resort! LEGOLAND® New York Resort will be the biggest and best LEGOLAND® theme park to date! 2020 cannot come fast enough! The LEGOLAND Hotel at LEGOLAND New York Resort has four different room themes: Ninjago, LEGO® Friends, Castle and Pirates themes. There will be something for everyone when LEGOLAND® New York Resort opens! More information about the hotel itself will be coming soon! Stay tuned to our blog, our social media, and to our youtube channel: Tubey Toys Review to stay on top of the latest LEGOLAND® New York news! Make sure you also follow LEGOLAND New York on Facebook and on YouTube for up to the minute updates. 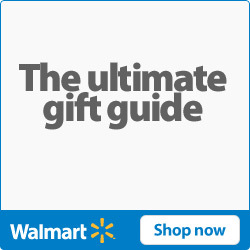 They host great giveaways, too! Who is ready for LEGOLAND New York Resort?! We are pumped! Leave a comment below and let me know if you entered their open submission for LEGOLAND Kid Reporter! Lots of luck, Brick Builders! No not yet nut really want to though. Not I have not visited LegoLand. I haven't been to Legoland...yet. My 3 kids and my husband are HUGE Lego collectors, so I imagine we'll get there one day. No I have not yet visited Legoland. Looks so fun, we havent been there yet. Never been but it looks amazing!!! How Cool it would be to visit Lego Land!!! Never visited. Would love too! I haven't, but we want to go! Never been there I wish we could go! Never been to LEGO Land. Would LOVE to go, and would LOVE to take my kids! Yes went went to Legoland on vacation last summer! Never been to one and my children don’t qualify to enter but I do think I will plan it for a summer vacation for us for it’s grand opening in 2020, sounds like it’s going to be awesome. I have not but would really like to. Haven't been to one! Looks awesome!! I haven't yet but it appears to be a great place to bring my grand children! I visited Legoland in California, but didn't stay very close to it after the day I spent there with two of the kids. I loved the Aquarium it had. no but would love too!